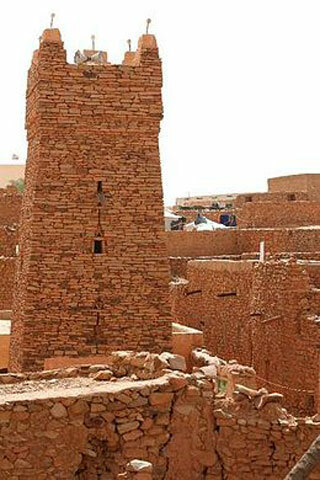 Founded in the 11th and 12th centuries to serve the caravans crossing the Sahara, this trading and religious centre became focal points of Islamic culture. It have managed to preserve an urban fabric that evolved between the 12th and 16th centuries. Typically, houses with patios crowd along narrow streets around a mosque with a square minaret. They illustrate a traditional way of life centred on the nomadic culture of the people of the western Sahara. This article uses material from UNESCO World Heritage List article "Ancient Chinguetti", which is released under the Creative Commons Attribution-Share-Alike 3.0 IGO License.